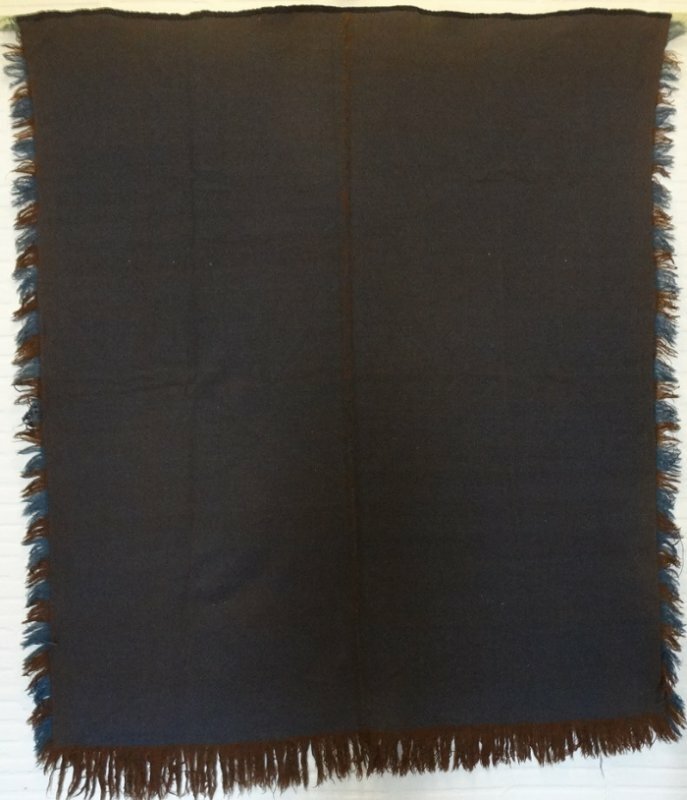 Handsome color combination of tobacco brown and soldier blue wool in a subtle diaper weave make for an unusual and refined hand woven blanket. Collected in New England, origin unidentified. I have never seen anything comparable in all the handwoven coverlets and blankets I have handled. A strong edge treatment has an applied handwoven fringe all around. One small split in the weaving does not affect its wear or appearance.